When leaders and managers welcome many backgrounds, experiences and viewpoints, they create a competitive advantage for themselves. But few organizations know how to create a culture that truly promotes, embraces and seeks each employee's unique contributions. Everyone treats everyone else with respect. Managers appreciate the unique characteristics of everyone on their team. Fill out the form to download this perspective paper. 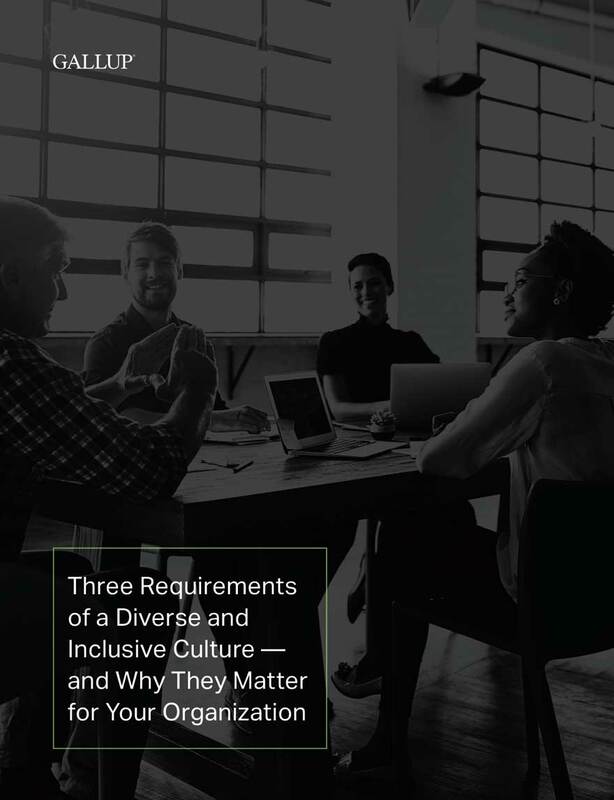 Someone from Gallup may contact you about your interest in our diversity and inclusion offerings.